Quote: "It has long been assumed that Henry Kissinger “supported” the Vietnam War throughout the 1960s—and that this was one of the reasons Richard Nixon offered him the job of national security adviser. This view is incorrect. 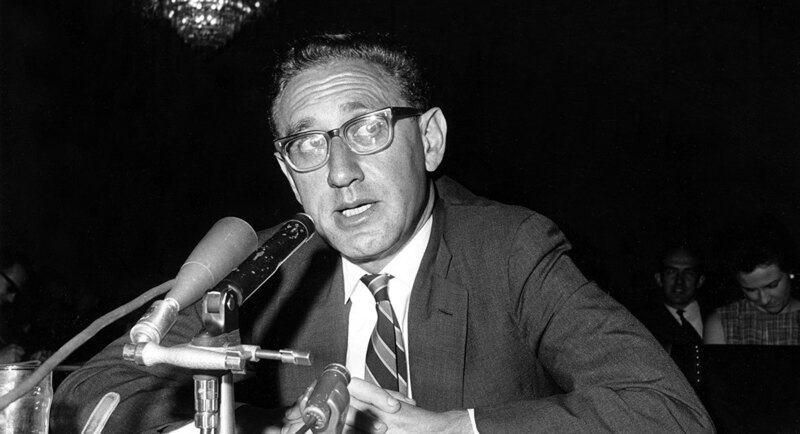 As his private papers and diaries make clear, Kissinger realized by 1966 at the latest that the U.S. intervention in defense of South Vietnam was a doomed enterprise and that only a diplomatic solution would end the conflict. But how could that happen if the United States undermined the legitimacy of the South Vietnamese government, as happened in 1963, when the Kennedy administration approved a bloody coup against the government of Ngo Dinh Diem? When the news broke of Diem’s murder, Kissinger denounced U.S. policy as “shameful.” “Conditions in Vietnam will, in my judgment, get worse,” he warned. In October 1965 Kissinger flew to Saigon at the invitation of the U.S. ambassador to South Vietnam, Henry Cabot Lodge Jr. An expert on European history and nuclear strategy, Kissinger had never previously been to Vietnam. He knew little if anything about the country’s history and not a word of its language. But he already knew one thing: This was a war that could not be won by military means. I am quite convinced that too much planning in the government and a great deal of military planning assumes that the opponent is stupid and that he will fight the kind of war for which one is best prepared. However … the essence of guerrilla warfare is never to fight the kind of war your opponent expects. Having moved very many large units into Vietnam … we must not become prisoners now of a large-unit mentality. Otherwise I think that we will face the problem of psychological exhaustion. Perhaps most unnerving of all were the warnings to Kissinger to stick close to the U.S. embassy and other secure installations as “the losses to the terrorist activity in Saigon were much greater than was being announced.” His parents had good reason to pray for his safe return. When I was in combat during World War II, or when I visited Korea for the Department of the Army in 1951, one knew precisely when one was in a danger zone and while one was in the danger zone the chances of attack were more or less constant, say 10–20%. In Saigon and throughout Vietnam, one is in a way constantly in a danger zone but there is no appearance of physical danger whatever. At the front in World War II or in Korea one heard the guns and one could almost sense the physical approach of danger. In Saigon everything appears perfectly normal and there is really no choice except conducting one’s business as if one were in downtown New York. If danger should ever materialize, it will be sudden, unexpected, and would have an almost 100% certainty of success. The result is, curiously enough, that there is never any particular fear. (tweets from "Abaris" @Williamtheb ).